1) I wrote a book! 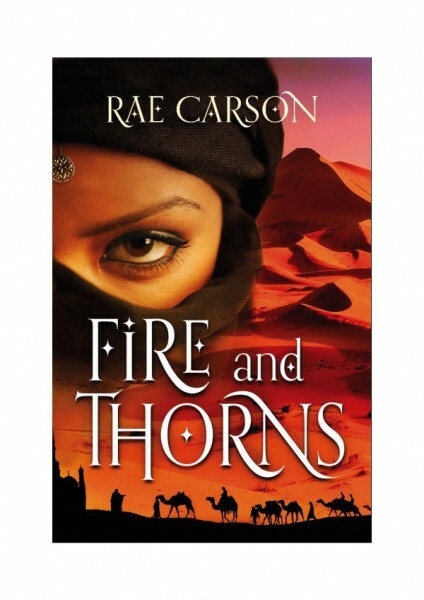 I’m currently working with my editor to put the finishing touches on The Crown of Embers, a sequel to The Girl of Fire and Thorns which will be released in Fall of 2012. 2) I bought a house! Our rental lease was up, and my husband and I were faced with that age-old question: To buy or to rent? Turns out, our mortgage payment is LESS that what we would have paid in rent. Wooo! 3) I bought a car! Used, of course. Still, it’s nice to have something that is unlikely to strand me on the side of the road anytime soon. 4) I’ve done a LOT of reading. 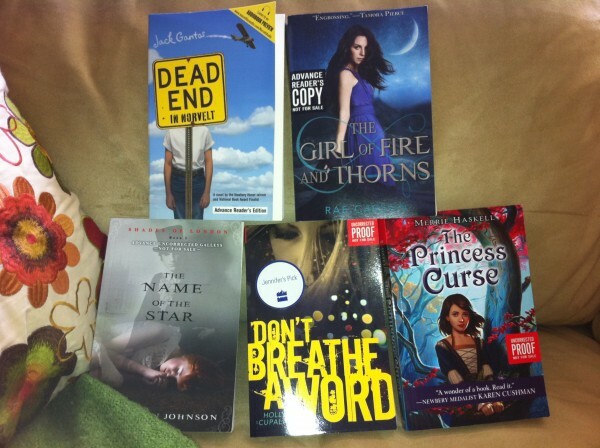 In fact, I have some ARCs of hot Winter 2012 releases to give away. So keep your eye out–I’ll be posting a giveaway in the next couple of days. Here’s a sneak peak at the giveaway list: Kiss Crush Collide by Christina Meredith, Incarnate by Jodi Meadows, Winterling by Sarah Prineas, and Under the Never Sky by Veronica Rossi. That’s it for now…stay tuned for that giveaway. Hope you’re all having a wonderful holiday season. Edited to add: I was absolutely remiss and thoughtless in not thanking Heidi Bennett of The Readiacs and Twilight fandom. Heidi was the one who pointed The Hillywood Show in the direction of my book, worked with them to make it happen, and arranged to surprise me. She is a passionate reader who has helped out a lot of authors in the young adult community. Thank you so much, Heidi. Holy cow, you guys. I’m so excited about this. Have you heard of The Hillywood Show? I’ve been a fan for a long time. Over 5 millions viewers worldwide have enjoyed their parodies and character impersonations of popular TV shows, movies, and even rock stars. Their parody of The Vampire Diaries had me rolling with tears of laughter. And this Lady Gaga impersonation is a masterwork of modern makeup. So you can imagine how thrilled I was to learn they are branching out into the book trailer biz. To demo their mad skills, they decided to pick a book and create a trailer. And guess what? They picked my book. They created this in total stealth. I opened my email one day, and oualá, there it was! It was the most amazing surprise ever. I was completely blown away, not just at their generous nature and support of my book, but at the stunning production quality. If you’re interested in learning more about their trailers, the girls are taking inquiries now. Contact them at TheHillywoodShow@aol.com or (702) 279-0987 for rates and scheduling. Discounts will be available for their inaugural clients. Today, I guest-blog over at Greenwillow and confess to my sordid pageant past. Crown-and-gown photos forthcoming! Thanks so much to everyone who attended the launch at Cover to Cover. I had a blast! If you couldn’t make it but would like a signed book, please give the store a call at (614) 263-1624. They are happy to take phone orders and arrange shipping. Sat. 10/15: New York ComicCon, Epic Fantasy Panel 6:30 p.m.
Wed. 10/26: Mysterious Galaxy in San Diego, CA. Group signing with Patrick Rothfuss, Peter Brett, John Joseph Adams, and more. Sun. 11/13: Books of Wonder in NYC. Group signing with Tamora Pierce and John Connolly. I’ll post more appearances as they come up. Hope to see you there! If I know you from Twitter/Facebook/etc., be sure to introduce yourself. 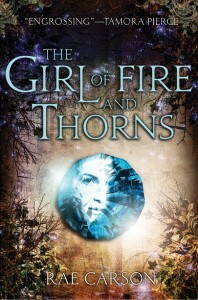 Happy book birthday to The Girl of Fire and Thorns! Fly, little book, FLY! To celebrate, I’m throwing a shindig with the help of the fine folks at Cover to Cover Books in Columbus, Ohio, today, Sept. 20. Stop by if you’re in the area! I’ll be chatting with folks about the book and signing copies from 6:30 pm until around 8:00. If you can’t make it but would like a signed book, they’ll definitely take phone orders. Just give them a call at 614-263-1624. Last month when I visited HarperCollins in New York City, I filmed this video, wherein I talk about The Girl of Fire and Thorns and give some hints about what to expect in the sequels. ARC Giveaway for UK & Australia readers! So, hey, my fabulous UK publisher, Gollancz, has a few extra advance copies of Fire and Thorns (to be released 29 Sept), and they said I could give them away! Wooo!! Just comment here to be entered to win. I will choose 5 (yes FIVE) winners at random on Monday, 5 Sept. Open to UK, New Zealand, and Australia readers. Five chances to win…those are pretty good odds. Good luck! Mark your calendars! I’m throwing a party! Well, me and the amaaazing folks at Cover to Cover Books in Columbus. If you’re in the area, please stop by on September 20 at 6:30. I’ll be signing copies of The Girl of Fire & Thorns, dishing on some behind-the-scenes stuff about the book, and sharing Elisa’s favorite pastry recipe. Wooo!